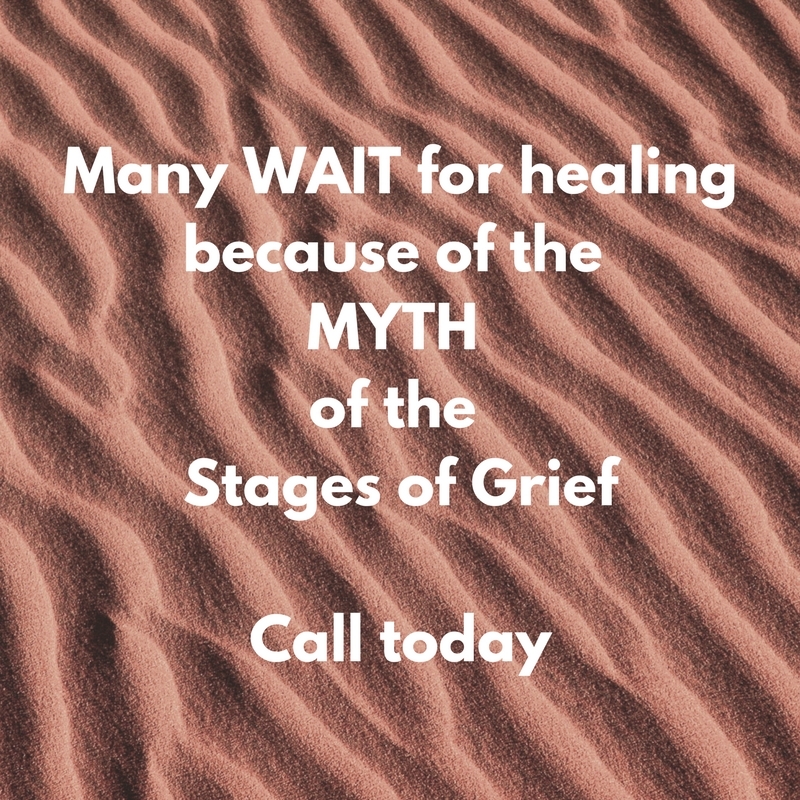 Over the years people have applied these five stages to the grief process calling them 5 stages of grief even though no one has proven that these “stages” exist. In fact, there is controversy about whether people commonly experience "stages" of grief. Denial. Some people mistake the sense of shock and bewilderment at the news of a loved one's death as denial. People will often express their difficulty believing that someone has died, especially if they did not witness the death. Accidents and tragic deaths are especially difficult to imagine. Denial may be more about holding back feelings of loss and grief. Anger. There is evidence that Kübler-Ross’ carried a great deal of anger that she did not come to terms with until late in life. Many people are sad about the loss of their loved one and never angry about it. Bargaining is a common behavior for those who are diagnosed with a terminal illness. They make promises to God in hopes of receiving more time to live. However, this does not apply to those grieving a loss of a loved one. Grievers know they can not bring someone back. Depression symptoms and grief symptoms have a lot in common. The lack of motivation or energy, difficulties concentrating, changes in sleeping or eating patterns and sadness occur in both. But when these symptoms are the result of loss, they should not be labeled as depression. The exception would be someone who is clinically depressed before the loss occurs, will likely to be clinically depressed and need profession treatment after the loss. Grief is the normal reaction to the loss of a relationship or significant attachment. Acceptance. Not everyone passes automatically through this "stage" of acceptance. Although acceptance is a sign of a healed heart and allows the griever to move into more peace about their loss. Acceptance means making an honest evaluation of the blessings and negatives of a relationship to address the feelings associated with these memories. This is a choice that leads to recovery, rather than a stage. The idea of 5 stages of grief suggests that one must wait until they pass into the next stage. This is a damaging myth. While someone may experience anger or depression when mourning a loved one or a loss, these experiences do not necessarily occur in ordered stages like in the Kubler-Ross Stages of Grief. For this reason the term “stages” is unfortunate. To learn more about the different stage theories of grief, click below. If grief is troubling you, there is something you can do about it. You do not need to wait to experience the Kubler-Ross stages of grief. You can enjoy peace, love and happiness again. Grief Recovery Coaching or counseling can help you take the necessary steps to move out of heartache to a life of joy and peace.